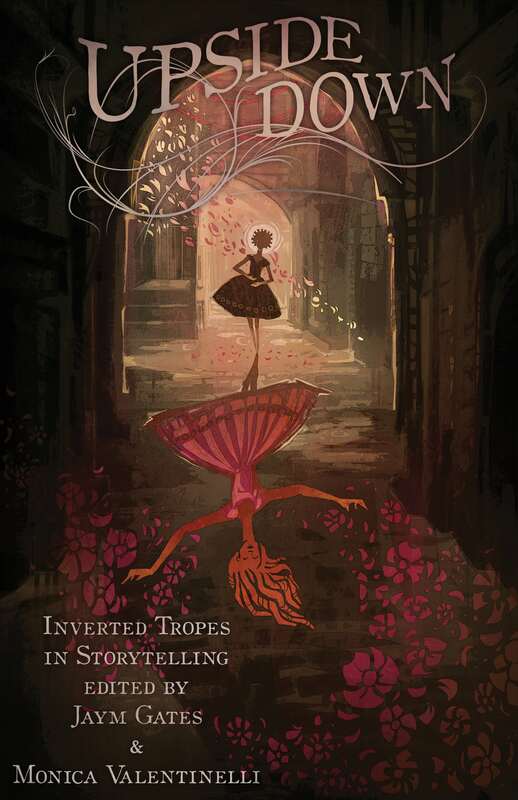 Following a successful Kickstarter campaign, Apex Publications has released Upside Down: Inverted Tropes in Storytelling edited by Jaym Gates and Monica Valentinelli. Over two dozen authors chose a tired trope or cliché to challenge and surprise readers through their work. And each author tells what these tropes mean to them and what inspired their story. Contributors include Maurice Broaddus, Adam Troy-Castro, Delilah S. Dawson, Shanna Germain, Sara M. Harvey, John Hornor Jacobs, Rahul Kanakia, Alethea Kontis, Valya Dudycz Lupescu, Haralambi Markov, Kat Richardson, Nisi Shawl, Ferrett Steinmetz, Anton Strout, Michael Underwood, and Alyssa Wong. Upside Down is editor Jaym Gates’s (War Stories) second anthology with Apex Book Company, and it is the first for editor Monica Valentinelli. This entry was posted in Like Show Business and tagged Apex Publications, Jaym Gates, Monica Valentinelli by Mike Glyer. Bookmark the permalink.